At JC Moving, we are focused on providing local and long distance moving services services with the highest levels of customer satisfaction – we will do everything we can to meet your expectations. With a variety of relocation and packing services we offer to choose from, we’re sure you’ll be happy working with us. Moving couldn’t be simpler, whether you need apartment moving service or household moving service, call us, and relax, don’t break your back, let the professionals take care of it. We also offer full packing and unpacking services to suit your needs. Whether it is a few items or the contents of a full bedroom(s) plus, through our enthusiasm and passion for challenge we strive to exceed even our customers' unexpressed wishes and needs and in doing so, earn their lifelong trust. 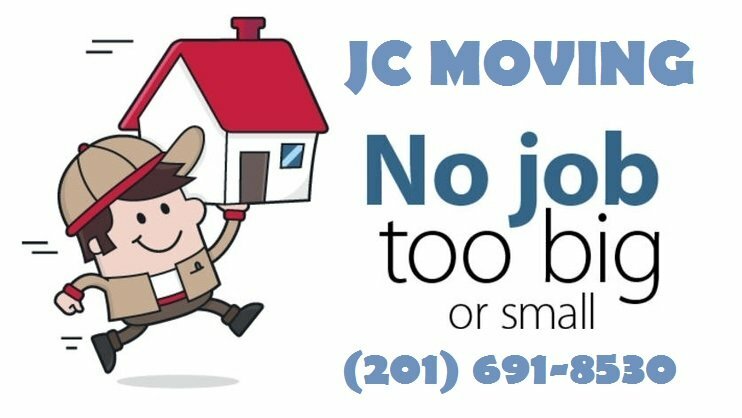 JC Movers are professional apartment movers, home movers, office movers, and piano movers. Whether your move requires craning or hoisting, you need to move interstate, or you need to place items in storage, JC Movers can get the job done safely and efficiently. WARNING!!! DO NOT HIRE THIS COMPANY!!!! This place gives you a price/quote on the phone and then the price changes when the movers arrive. If you dare call back to talk them down to the original price given or adjusted (which is your right), the rude guy/owner on the phone tells you "you're calling for every single penny" & he will also say things like "$100 is nothing" or "you can't pay an extra $100?". Honestly, I dislike giving bad reviews but before getting involved with these people, know that JC Moving is not a direct moving company. JC Moving hires a guy with a moving truck, from wherever, that then rounds up ill-prepared relatives to move your things to the desired destination. (Just a bit of advice to JC Moving, please keep in mind that moving is already an extremely expensive and stressful process. Understanding your client and accommodating their every need, in relation to moving, should be your number one priority. Not trying to get them for every dollar you can squeeze because they are put on the spot and are in the moment.) I will be sure to tell anyone and everyone I know to NEVER, EVER look into hiring you and your 3rd party, low budget workers. This was absolutely the worst costumer service I've ever dealt with.. in my entire life. Things were broken, floors were scratched, wall paint was peeled back, movers were complaining and even took their time to just charge more in the end for it. THE most unprofessional thing of it all (in my opinion) was when the movers requested a higher tip for having to move so many items. By the way, I personally packed, wrapped and boxed every single item in my home. Perfectly organizing them and moving it all to the front of my apartment to make it easier for them upon arrival. All I needed to be done was transport my items to a storage unit, with nothing to take apart and noting to assemble. I regret it all, I should've followed my gut and sent them all home. I'm disgusted..to say the least.